A recent case before the U.S. District Court highlights the risks of engaging in illegal charter operations and the need for NBAA members to remain vigilant against those offering chartered flights not in compliance with federal regulations. “Aircraft charter is a highly competitive business,” said NBAA Senior Manager, Flight Operations and Regulation Brian Koester. “Passengers want the most expeditious option that fits their schedule, and operators are eager to assist them. That said, it’s our shared responsibility to ensure that such flights are carried out lawfully.” Read more. In the interest of reducing complexity and making NBAA membership more accessible, the association has updated its member categories to include three member types: Operating, Business and Professional. “We believe that by streamlining and redefining our member categories, we are better representing the industry’s ever-changing landscape and making the association more welcoming,” said Patrick Haller, NBAA director, membership and member services. “The adjustments are intended to more accurately reflect who is in business aviation, what they do and what their needs are, today and in the industry of tomorrow.” Learn more. An FAA-produced video series aims to ensure pilots understand the unique runway safety challenges that exist at several general aviation airports. One recent video focuses on three issues at California’s Hayward Executive Airport (HWD): atypical hold markings, wrong surface landings and movement area authorization. “The biggest difference between HWD and other airports is the atypical location of HWD’s runway holding position markings for Runway 28L on Taxiways A1 and Z1,” said Doug McNeeley, airport manager at Hayward. Learn more. There are changes coming to the International Standard for Business Aircraft Operations (IS-BAO), which are designed to make operations easier in the years to come. “We listened to what the operators wanted for their program. Operators needed a refresh on where it came from to know where it’s going,” said Bennet Walsh, program director of IS-BAO, who shares his insights in this week’s NBAA Flight Plan podcast. A recent Airports Authority of India AIP supplement announced that aircraft flying certain PBN routes in Indian airspace must be equipped with ADS-B Out beginning Jan. 1, 2019. Although the FAA mandate for ADS-B Out compliance is Jan. 1, 2020, aircraft operators need to be aware of varying compliance dates. From pilots to technicians, CEOs to marketing specialists, young people across the world are shaping our industry in profound ways. 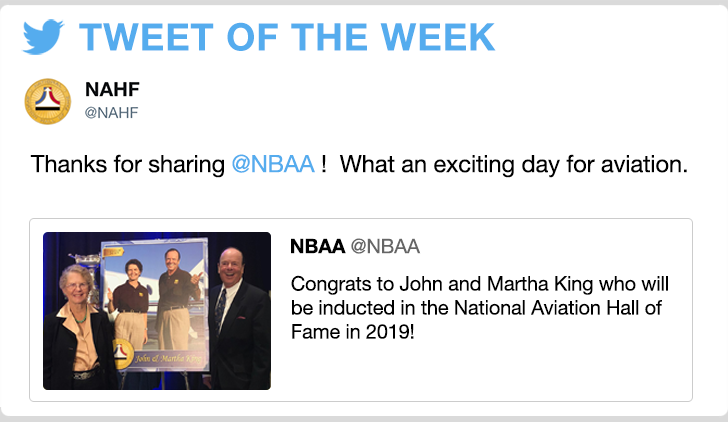 NBAA’s Young Professionals in Business Aviation (YoPro) program is shining a light on these extraordinary individuals. Earlier this year, NBAA’s YoPro Council reviewed hundreds of outstanding candidates and identified 40 men and women who represent the best of our industry. 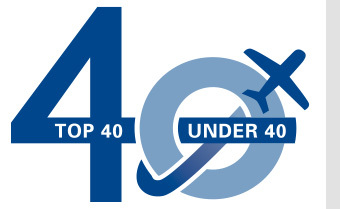 As featured in Business Aviation Insider magazine, meet NBAA’s 2018 Business Aviation Top 40 Under 40.